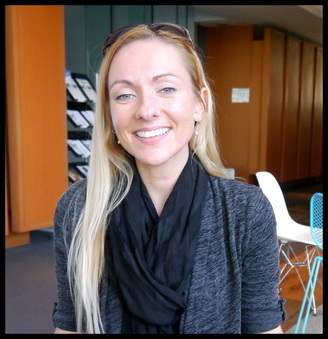 Zhanna Hamilton is an ACX user doing double duty: she plays both roles in the ACX equation as an author and audiobook producer, with a Master’s in Marketing to boot. Her combination of education and experience has enabled her to achieve success marketing over 90 ACX titles and generating hundreds of valuable $50 Bounty payments. She joins us today to share her story and her tips for audiobook marketing success. As a child, I’ve always had an inclination towards writing. One of my first poems was about the psychology of a cat (it wasn’t as sophisticated as it sounds), prompting my mother to gift me a journal so I could keep my poetry in one place. As an adult surrounded by the growth of technology and the availability of the ACX platform, creating audio books was a natural extension of my love for words. The best audiobook production comes from a team of dedicated people with one goal in mind – to produce quality audio books. After building up a rock star team of voiceover artists and sound designers to produce my own audiobooks, I opened up our services to other authors and publishers. Educate yourself. I learn best through trial-and-error, listening to interviews with other entrepreneurs or authors and self-educating through books, internet searches and tutorials. I do have a Master’s in Marketing, but I’ve found the information from a curriculum can be found on Google for much cheaper. In other words, there is no excuse for anyone in the information age to say, “I don’t know to market my book.” Just Google it! Don’t just SELL, SELL, SELL. As every self-published author has learned (or will learn), establishing a relationship with your audience is a must. This means engaging with your social media audience, always answering emails from readers, and treating people like respected friends – not wallets. Would you rather buy a product from a friend, or a stranger? The more familiar your fans are with you, the more you will feel like a friend to them. This enriches their lives, and in return, they will be more willing to choose your products over a stranger’s products. Familiarity helps establish trust, both in you as a transparent person, and in your line of products. Value first, promotions second. In order to gain a real following, you must give immediate value outside of your line of products. “Value” is a vague word, as it means something different to each audience. Your audience might value humor, and that’s why they follow you on social media. If you are a romance novelist, they may value your insight on interpersonal relationships. Giving them more of what they value – with your promotions coming second – lets your readers and listeners know you are there to enrich their lives. Quality over quantity. When I’m browsing the internet and come across a great article, video, or blog, I think, “My Facebook fans would love this.” The more useful your posts are to your audience, the more they will think of you as an authority in your industry. When I first started maintaining social media pages, I thought posting every hour like those big-budget pages did was the way to go. I quickly learned quality is more important than quantity and am pickier about what I post on social media. Before posting anything, I always ask myself, “would I want to see this in my newsfeed?” Sharing in this way helps me feel more connected to my audience when they ‘like’ what I post. Set a schedule. Being an author, producer, and marketer creates the need for a schedule. I like to plan my productivity on a monthly basis, setting milestones and deadlines within each week with the overall goals of the month in mind. Use those promo codes. ACX will give you 25 free promotional codes upon the publication of your audiobook. Personally, I enjoy offering freebies through my newsletter and social media channels, as these are the places my audience expects me to give such items. For example, I run a book reviewer program on my English as a second language website for reviewers wanting free books. Additionally, I give away books on a weekly basis through my Reddit profile and my newsletter. Sometimes, the books or audio books I give away are in exchange for honest reviews. Other times, they are for gaining a larger readership and come with no conditions. I have done Facebook giveaways, interviews and have shared my knowledge with others with the goal of connecting with my readers, listeners and other like-minded people. Mix it up. I’ve found the best way to promote a product is to mix up your marketing method, experiment often and let the results lead your marketing plan. You might find that book trailers are a great way to promote audio books, or that Pinterest is where your audience hangs out the most. My focus for all my audiobook marketing is always the end user and how to best connect with them. This outlook has made all the difference in both attracting new Audible Listeners and keeping them interested in our line of audio books. 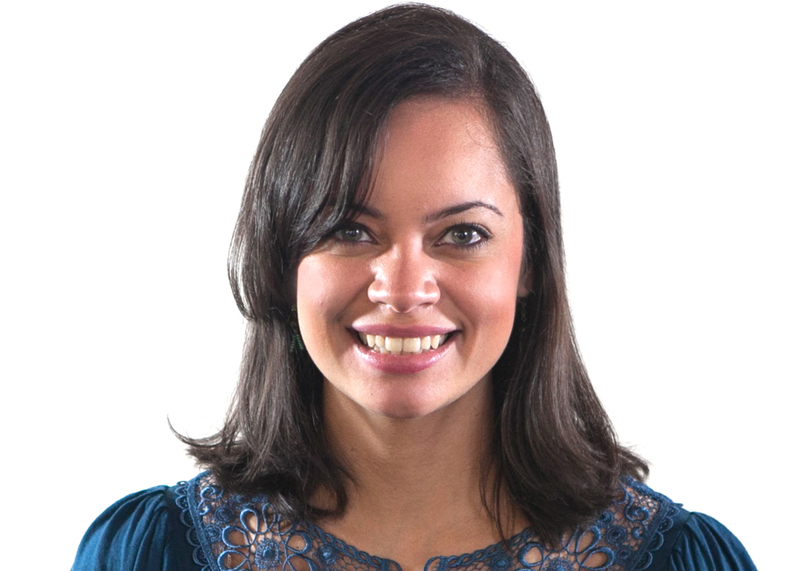 To receive updates from Zhanna Hamilton, follow her on Twitter and Facebook. 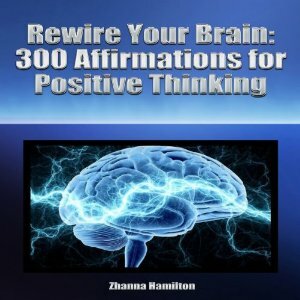 Subscribe to her newsletter on ZhannaHamilton.com for free books and audio books. 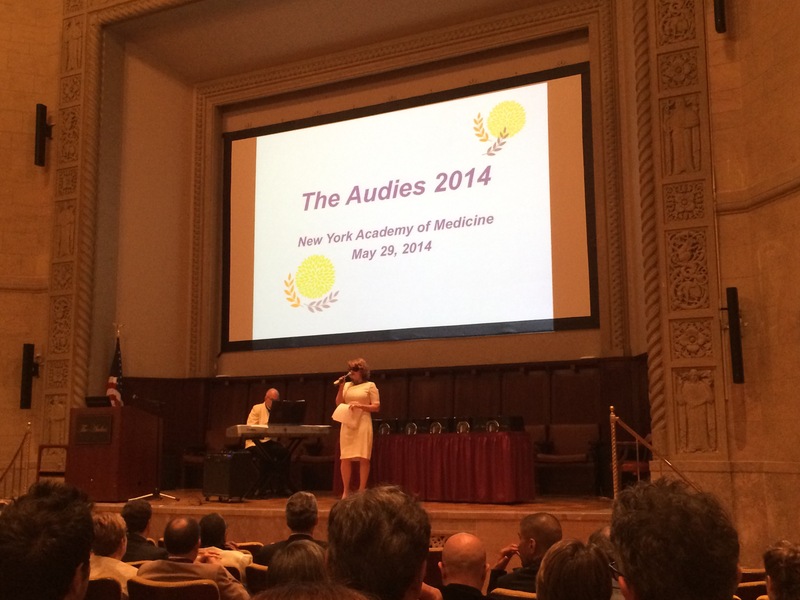 This past Thursday, amidst one of the busiest weeks of the year in the audiobook industry, ACX attended the “audiobook Oscars,” better known as the 2014 Audie Awards at the New York Academy of Medicine. Author and Audie hostess Libba Bray. The Fall of Kings – Written by Ellen Kushner and Delia Sherman, produced by Neil Gaiman Presents. The War of the Worlds – Written by M.J. Elliot and H.G. Wells, produced by Colonial Radio Theatre on the Air. Secret to Success – Written by Eric Thomas, produced by Charles Arrington and Eric Thomas. Kissing Under the Mistletoe – Written by Bella Andre, Produced by Eva Kominsky. The first round of awards featured presenters Robert Fass, Suzanne Toren, and Joe Barret (ACX producers all) announcing winners for categories like best Non-Fiction, Biography/Memoir, and Business/Educational audiobooks. Billy Crystal (sadly not in attendance) then picked up his first award of the evening for Still Foolin’ ‘Em, in the Humor category. Robin Whitten of AudioFile Magazine presented the Special Achievement award to George Guidall for his impressive record of success in the audiobook industry. 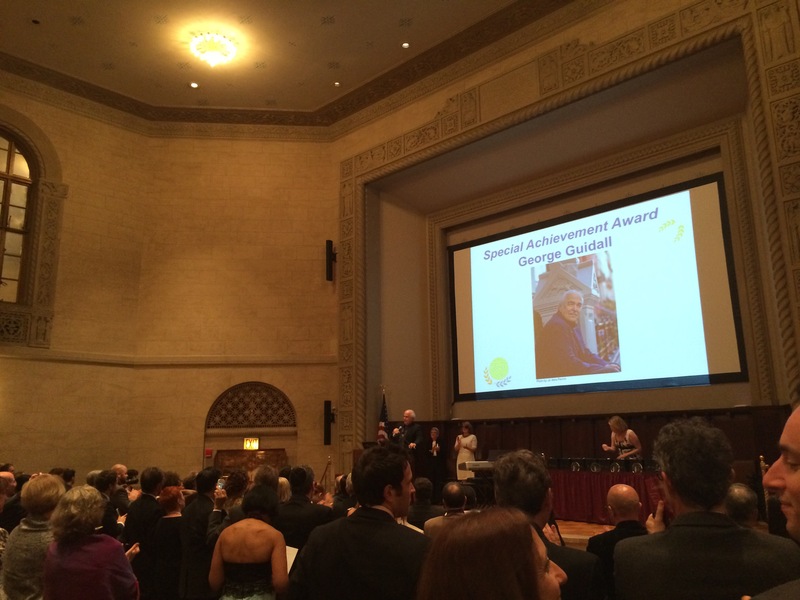 With over 1,100 audiobooks recorded, the standing ovation he received upon acceptance was well deserved. Katherine Kellgren was honored with the Audie for Solo Narration/Female for the Audible Studios production of The Twelve Clues of Christmas, and David Pittu picked up his second award of the night for his read of The Goldfinch. The final, most coveted award for the evening, Best Audiobook, netted Billy Crystal his third win of the night for Still Foolin’ ‘Em. Congratulations to all the 2014 Audie nominees and winners. With all the talented rights holders and producers on ACX, we can’t wait to see what you create to be featured at the 2015 Audie’s! Audible has a full list of 2014 Audie winners here. You can read @ACX_com’s live tweeting of this year’s ceremony on Storify. You Can Help Make June Audiobook Month! Did you know that June is Audiobook Month? During the month of June, the Audio Publishers Association (APA) raises awareness and enthusiasm for audiobooks. This concentrated effort provides a great opportunity for ACX rights holders and producers to focus on audiobook promotion for the month of June and create buzz around the audiobook format and their titles. With a set period of time on which to focus your promotional efforts, ACX users have the opportunity to band together and create a groundswell of audiobook-specific promotion that will benefit their titles and generate exposure for the industry as a whole. And with a “high tide raises all boats” mentality, everyone can benefit by putting a little extra effort into marketing their audiobooks. By thinking about your June promotion now, you’ll have a chance to put a plan in place and pull off some cool promotions that will make you a summer audiobook superstar! Team up with a fellow author/producer – Are you listening to a great audiobook now, or have you in the recent past? Reach out to the author or producer and work out some ways to cross promote. Have them interview you about your listening experience for their website/blog, and interview them for yours. Link to their audiobooks in the post and compel your listeners to download them (and again, have your partner in promotion do the same). Recall a favorite listening experience – Can’t work out collaboration with a fellow audiobook creative? Take to your own blog and talk about a memorable experience listening to an audiobook. Rights holders can write about the emotions they felt hearing their work in audio, or how listening to someone else’s audiobook inspired or informed the choices they made while producing theirs. Producers can discuss their favorite project they’ve voiced, or talk about how they got into narration in the first place. Find a way to speak compellingly about the emotional connection you made with an audiobook and you’re halfway to convincing your audience to have a similar experience. Encourage your fans to talk about listening to audiobooks – They can leave comments on your Facebook page or on your blog, and you can promise to publish the best in an update on your website. Why do they listen rather than read? Where do they listen? When do they listen? Their excitement can prove contagious to other potential listeners. Narrated your own book? Describe the experience – Your fans will love getting a peek behind the scenes, and you’ll be able to provide insight and anecdotes that will help your listeners make an emotional connection with the work. Take to Twitter – This year, the APA is encouraging use of the #audiomonth hashtag on Twitter. Add this tag to the end of your audiobook related tweets to ensure interested fans will catch on. You can also search Twitter for others using this hashtag and join their conversation, offering your own take on the topic or retweeting your fellow audiobook creative types. Think about where you create or listen to audiobooks – Give your fans the inside scoop by sharing pictures or video of yourself in your audiobook space. Producers may want to offer a guided tour of their studio, while rights holders can show fans where they listen to auditions, 15 minute checkpoints, and final audio. Have your fans submit pictures of themselves dressed as one of your characters. Best costume wins a prize pack. Challenge fans to write a “deleted scene” from one of your books, and have your narrator voice the winning entry. Encourage your fans to tweet their favorite quote from your work with a specific hashtag that you choose. Randomly select a number of qualifying tweets and award a free download or prize pack. This tactic has the added bonus of enlisting your fans as members of your promotional team! These are just some of the many ways you can use the month of June to drive excitement and sales of your audiobooks. Look for ways to join the groundswell, and catch the wave at the start of the month and work to build momentum for the next 30 days. You’ll likely be pleased with the results this summer and beyond! What other creative ways can you promote June as Audiobook Month? Tell us below! However you’re looking to improve your craft, we’ve got you covered. Are you fighting allergies, or wrestling with your writing tics? Maybe you’re looking for a better way to audition or to monetize your backlist. Perhaps you’re looking to master punctuation, or land a gig with Audible Studios. Whatever you want to achieve in your writing or recording time, read on for our hand-picked tips and advice from around the audiobook web. Are You The Next Voice of Audible Studios? – via The ACX Blog – Get all the details of our latest open casting before you audition for Audible Studios and AudioFile magazine. The 7 C’s of Auditioning – via Backstage – Great advice for all types of actors that can be put into practice the next time you step in front of the mic. The Secret Weapon For Beating Allergies – via Jordan’s Chopped Thoughts – Seasonal allergies can derail your recording sessions in no time flat. Jordan has some remedies that may put your ears, noses, and throats at ease. 10 Ways to Keep Your Clients From Falling Through the Cracks – via J. Christopher Dunn’s Voice-Over Blog – In the voiceover industry, your relationships with your clients are as important as your narration skills. Divas on Writing: How to Spot Your Tic – via Write Divas – Run on sentences? Redundant words and phrases? Let Lauren help you find, and fix, your writing tics before it’s too late. Busted—Authors Caught Exciting Emotion with Creative Punctuation – via The Blood-Red Pencil – Proper punctuation informs how your readers – and your listeners – experiences your words. Every we week scour the web for the best audiobook related links to inform your writing and producing. This week, actors can learn to get comfortable marketing themselves, and what to do about those tricky in-studios noises. Authors can find new sources for ideas and inspiration while learning how to handle their creative pursuits like a business. Whichever camp you belong to, read our picks for the top articles from the past week, and add your favorites in the comments! Noises in the Studio – via Jerry’s Voice – Where do all those little noises in your studio come from, and what can do you do about them? Jerry’s got you covered. 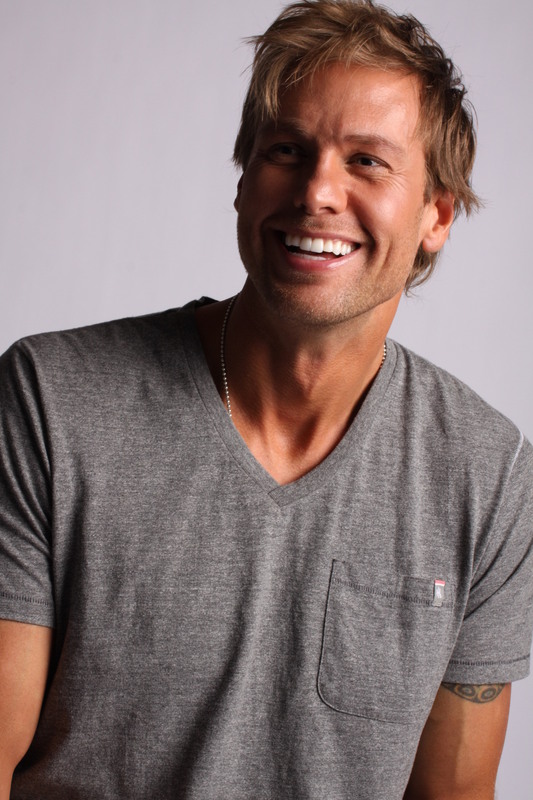 Voice Talent Wisdom: Not Your Typical Advice Column – via Christian Rosselli – Christian offers his take on a number of VO-related topics in this wide ranging post. Free Pro Tools Classes – via Sam Ash – Sam Ash music stores is offering a FREE 4 week intro to digital recording class. Don’t pass up the chance to get free instruction on one of the industry’s most popular pieces of software. Why the Horn-Toot is so Vital for Voice-over Marketing – via voxmarketising – Self-marketing can feel awkward and arrogant, but it’s necessary for your VO success. The Single Best Way to Sell Books (Or Lose a Sale) – via Kristen Lamb’s Blog – Join Kristen as she covers the importance of strong sample pages. Where Do You Get Your Ideas? – via Kill Zone – Nancy J. Cohen discuss the various places a writer’s ideas and inspiration can come from. Today, we’re talking bounties, more specifically ACX‘s $50 bounty program. If you hadn’t heard, bounties are a great way for rights holders and producers to maximize the earning potential of their audiobooks. Let’s review some bounty basics, and then we’ll hear from an ACX user who found success driving new Audible listeners to purchase their book. Under the $50 Bounty program, users can get – or split in the case of Royalty Sharing partners – a $50 bonus payment every time a qualifying audiobook they’ve produced through ACX is the first purchase of a new Audible listener. This money is on top of any royalty earnings from your audiobook sales. Think of it as our thanks to you for helping new audiobook listeners discover Audible! Here are some quick ways to get the word out about your audiobook and start racking up those $50 payments. 1. It’s never too early to start promoting! You needn’t wait for your audiobook to be published to start spreading the word! Authors, let your fans know when you post your title to ACX and update them when you cast a narrator, and as production progresses. Producers, spread the word when you’re cast on a new title, and let your fans know when it will be out. 2. Use those promo codes from ACX. When your production is completed, you’ll get 25 free download codes right off the bat. Use these codes to get people listening to and reviewing your book. Seek out audiobook reviewers and offer them a free copy in exchange for an honest review. Host a giveaway for your fans on social media, or trade codes with a fellow ACX user and review each others titles on your website/blog. Word of mouth marketing is a more powerful tool than ever! 3. Mention your audiobook every time you promote your book in ANY format. General book marketing is great, but to maximize your bounty payments, make sure you consistently talk about your audio version. 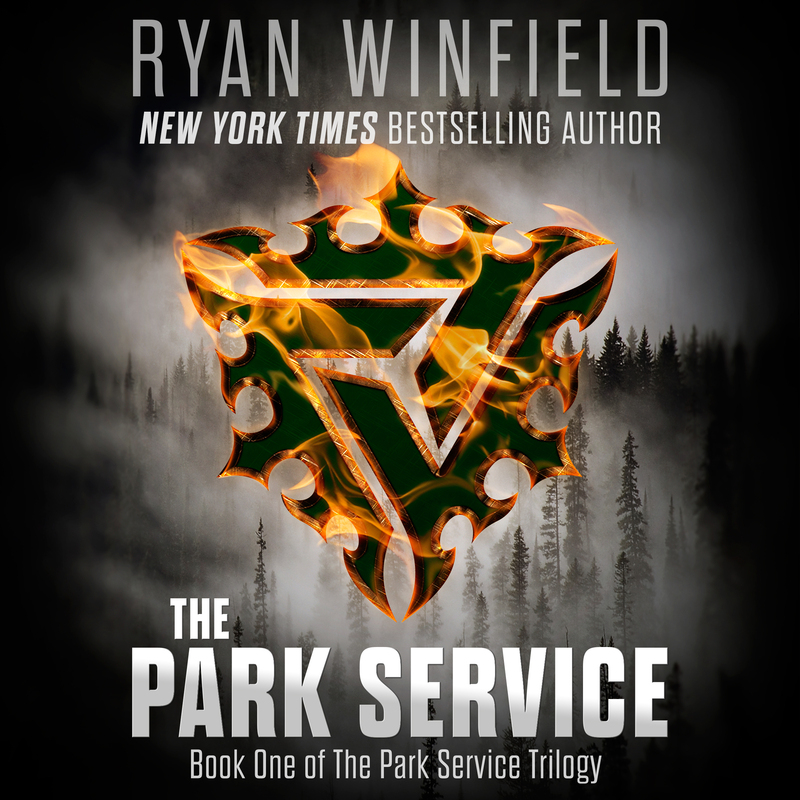 A number of your readers may not yet be audiobook listeners, and a reminder that your book is available in this awesome format might be just the poke they need to visit Audible and start downloading. 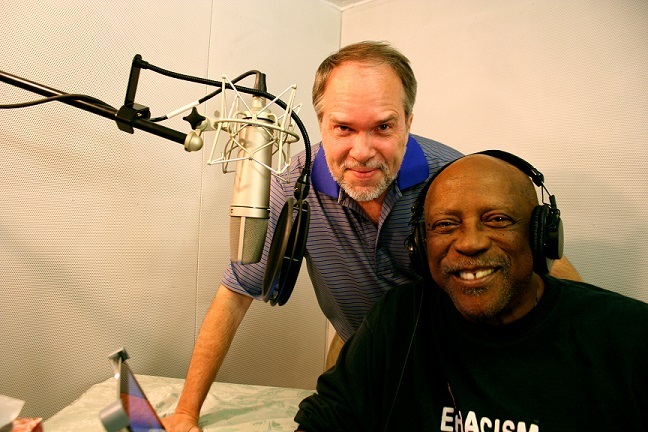 L to R: ACX rights holder Frank Eakin and narrator Louis Gossett Jr.
Are You The Next Bounty Success Story? Have you been successful at driving new listeners to Audible and collecting your $50 bounties? Tell us in the comments and help your fellow ACXers learn from your efforts. We just might feature you in a future post! Full terms and conditions on the $50 Bounty program can be found on ACX.